Lesson 8 in primary manual 4 is all about the dispute between Jacob and Sherem. The first activity the lesson has the teacher do is ask the kids to try to break a piece of string and then try to break a rope. Clearly the rope is unbreakable. We then discuss throughout the lesson how to make our testimonies unbreakable like Jacob's. You can see the entire lesson HERE. Instead of copying a scripture or quote this time I just typed up the lines about the rope activity from the manual for the handout. 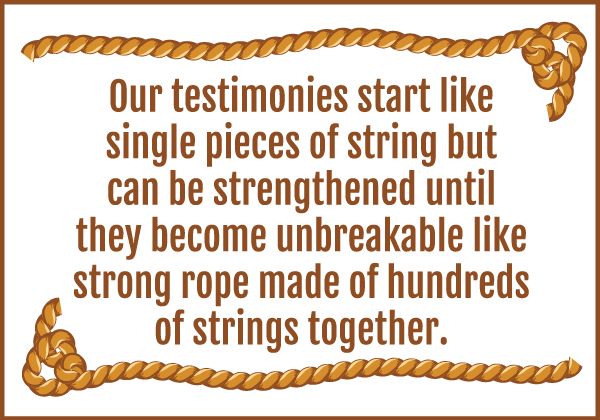 "Our testimonies start like single pieces of string but can be strengthened until they become unbreakable like strong rope made of hundreds of strings together." I like to have handouts that remind them directly what we did in class during the lesson. 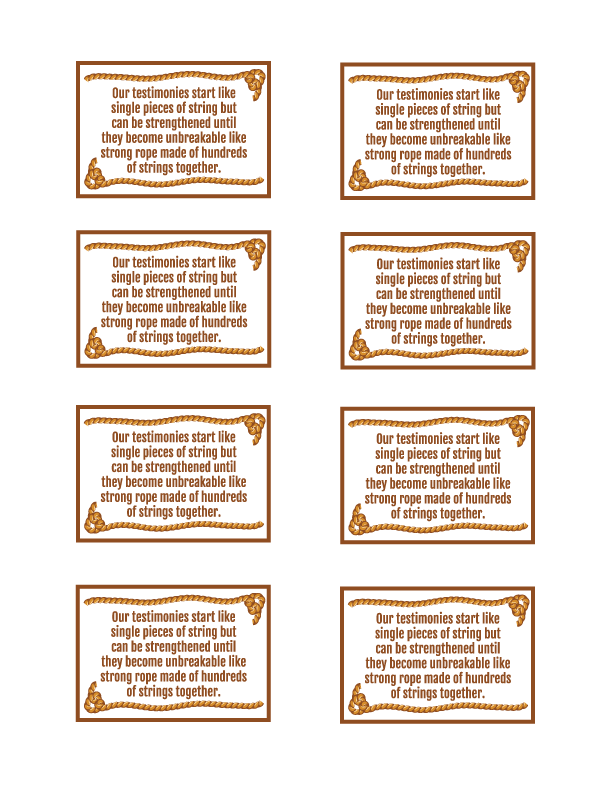 I love this handout! I'm going to attach it to a friendship bracelet to remind them about a strong testimony. Thanks so much!